What personal information do we collect from the people that visit our website https://obd2scanners.org/? Provide us with feedback on our products or services . 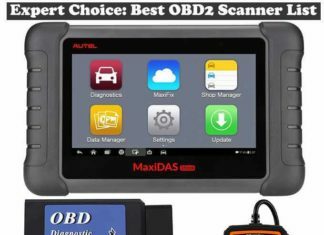 • To improve our website obd2scanners.org in order to better serve you. https://obd2scanners.org/ does not knowingly collect any personally identifiable information from children under the age of 13. If a parent or guardian believes that https://obd2scanners.org/ has in its database the personally-identifiable information of a child under the age of 13, please contact us immediately (using the contact in the first paragraph) and we will use our best efforts to promptly remove such information from our records. Occasionally, at our discretion, we may include or offer third-party products or services on our website https://obd2scanners.org/. These third-party sites have separate and independent privacy policies. We therefore have no responsibility or liability for the content and activities of these linked sites. Nonetheless, we seek to protect the integrity of our site and welcome any feedback about these sites. We do not sell, trade, or otherwise transfer to outside parties your Personally Identifiable Information unless we provide users with advance notice. This does not include website hosting partners and other parties who assist us in operating our website obd2scanners.org, conducting our business, or serving our users, so long as those parties agree to keep this information confidential. We may also release information when it’s release is appropriate to comply with the law, enforce our site policies, or protect ours or others’ rights, property or safety. We use Google AdSense Advertising on our site obd2scanners.org. We, along with third-party vendors such as Google use first-party cookies (such as the Google Analytics cookies) and third-party cookies (such as the DoubleClick cookie) or other third-party identifiers together to compile data regarding user interactions with ad impressions and other ad service functions as they relate to our site obd2scanners.org.